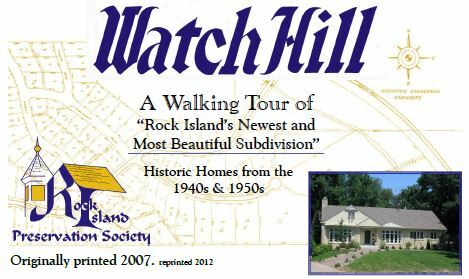 On a Rock Island hilltop, Suzanne Denkmann built a beautiful Prairie Style home designed by architect Robert Spencer at what is now 1300 24th Street. It was completed in 1911, just in time for her marriage to John Hauberg. When the home construction was started, the hilltop was open meadow. 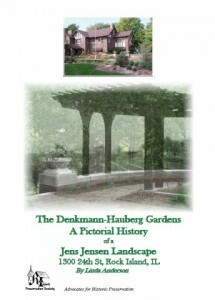 However Miss Denkmann retained noted landscape designer Jens Jensen to complete her estate. 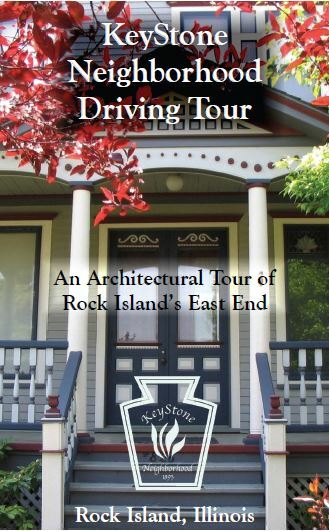 the process and the result is described in a walking tour that you can take using this booklet. Jerry Canavit tells the story, illustrated with many photos, of how brothers John, William, and Peter Kahlke came to the US from Germany in the 1850s. They started their boat building career in New Orleans, but eventually ended up in Rock Island, where their boatyard opened for business in 1868. 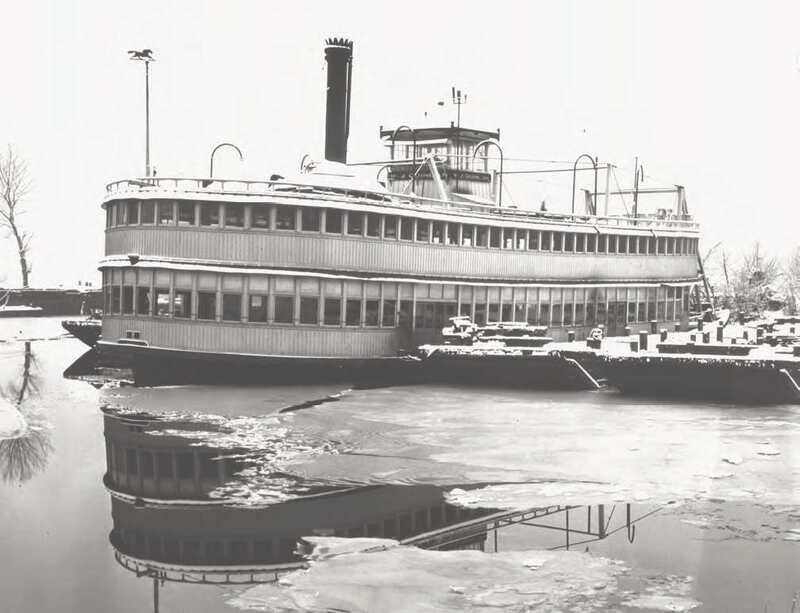 Located on the west side of Rock Island on the Mississippi River it was well known, even as Fred Kahlke, the son of Peter and the last boatbuilding Kahlke took over the business. A remnant of the old boatyard remains, cut off from the city by a tall levee, and only recognized by a few who remember local history. In 1917, the federal government via the U.S. Housing Corporation funded the design and contruction of houses across the nation. 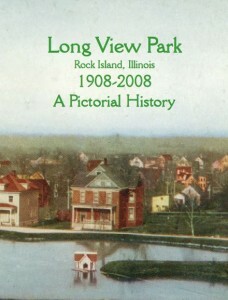 Rock Island had more built than any other community. 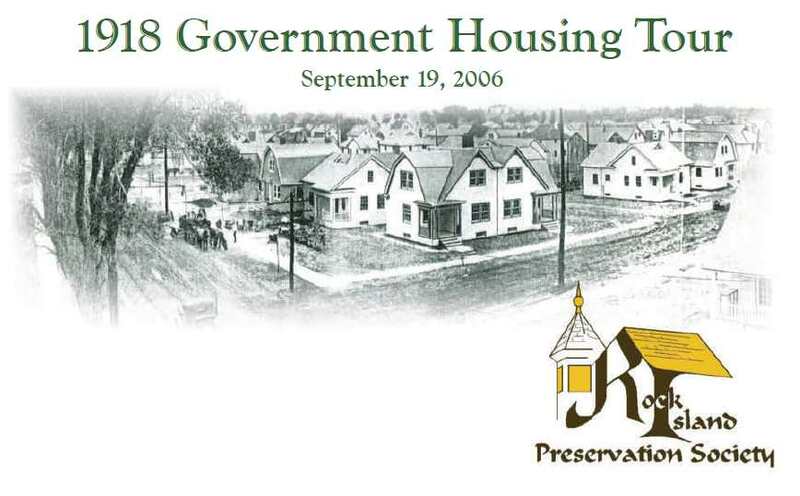 This booklet shows the many styles of homes that were designed by local architects Benj. Horn & Olof Cervin and built by contractor Henry W. Horst. The area known as “Keystone” was originally developed with the idea that it would serve as a keystone between the cities of Moline and Rock Island. Today the only way to distinguish between the two cities is by noticing the change in street signs. Watch Hill was one of Rock Island’s mid-century subdivisions adjacent to the oak forests of Black Hawk State Park (now Blackhawk Historic Site). Many of its homes were designed by architects and many remain unchanged even today. It retains its image as a prestige neighborhood. A historical Tour of Long View Park (now Longview Park) was created by RIPS members for the Friends of Long View (FOLV) for the 100th Anniversary Celebration of the grand opening of the park in 2008. It is profusely illustrated with historic photos of the park, which was created from a former pasture belonging to Bailey Davenport. It was designed by noted Prairie style landscaper Ossian C. Simonds.